Containers represent an excellent solution when in need of fast, affordable and reliable storage space. Uniquely versatile and convenient to work with, containers can be just about anything you want them to be. It’s simply a case of gaining access to the market’s most outstanding and cost-effective containers in the first place. We’re proud to offer an extensive range of containers for sale to suit all business, commercial and industrial needs. Our new and used shipping containers are available in a variety of sizes and specifications, starting at 32sqft up to a maximum size of 160sqft. Perfect for use as storage units, temporary office installations and so much more besides. What’s more, we offer containers for hire on short and long-term contracts like, in order to keep things as flexible as possible for our customers. If looking to buy containers outright, we have a varied collection of new and second-hand containers to choose from. 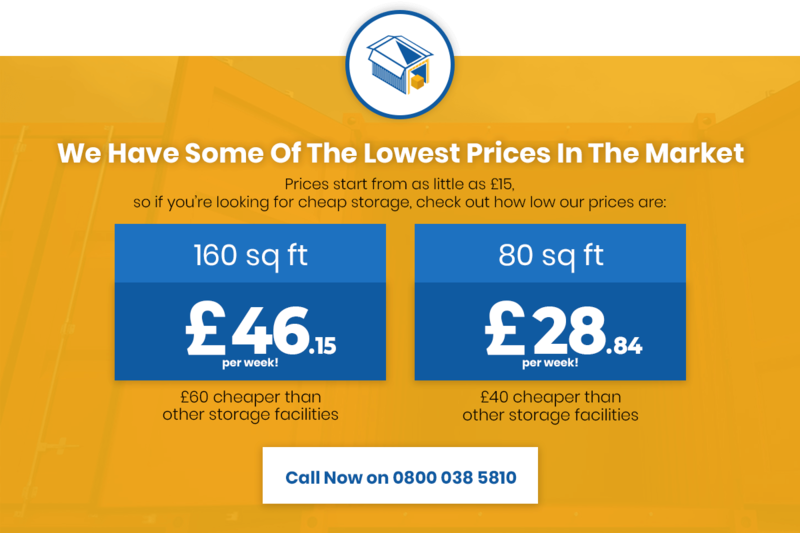 We can prove you with high-quality, low-cost storage containers for use on building sites, as additional storage solutions for businesses of all sizes, vehicle storage, shipping purposes and anything else across the board. Each of the used shipping containers we offer has undergone an extensive inspection by us personally, in order to verify its quality and integrity. We back everything we do with guarantees of both satisfaction and the lowest possible prices for total peace of mind. For more temporary needs, we can offer short and long-term containers for hire. We can provide you with the containers you need for any period of time required – always for the lowest possible price. Our range of containers for hire available includes office containers, storage containers, anti-vandal cabins, welfare cabins, portable toilet cabins, canteen containers and more. If you can’t find the container type you’re looking for or would like to discuss the price, get in touch with the team for more information. Containers can have a uniquely positive impact in various business settings – anywhere a little extra storage space is needed. Or for that matter, office space and enclosed environments without the heavy costs of new-builds or extension work. Wherever you are and whatever your needs, we can help you find the perfect containers for sale or hire to enhance and improve your business. We can also arrange full transportation and positioning of the containers for your convenience. Once again, be sure to get in touch with the team if you can’t see the perfect containers for your needs on our website. Availability and options are always changing, so give us a call or drop by our facility in person to find out more.